This photo was taken at the funeral of the sisters’ brother, Patrick, in 1990. 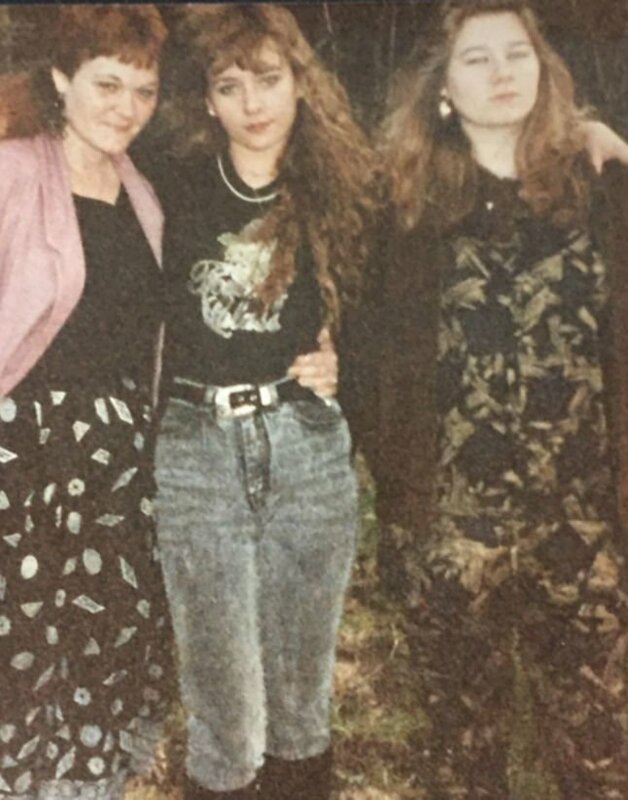 Seen here are, from left, Julia as a young mother, Kim before her accident, and Krissy who was pregnant with her son. Julia Lollar says she doesn’t know what she would have done without the helping hand she found at Stepping Stones. The Menomonie woman was committed to taking full-time care of her youngest sister whose body was ravaged with cancer, but the pair found themselves needing to find a new place to live. In 2016, her sister, Krissy, asked Julia if she would take care of her. At that point, Krissy had been battling cancer for many years. Diagnosed with breast cancer in 2003, the disease had returned twice. Following chemotherapy and a lumpectomy, her breast was removed in 2015. But by that time, the disease had spread into her lungs, bloodstream, brain, stomach, liver and spine. It’s not surprising that Krissy turned to Julia for help. From the day she was born until she turned 8, Krissy called her big sister “Mom”, underscoring the special bond the two shared. 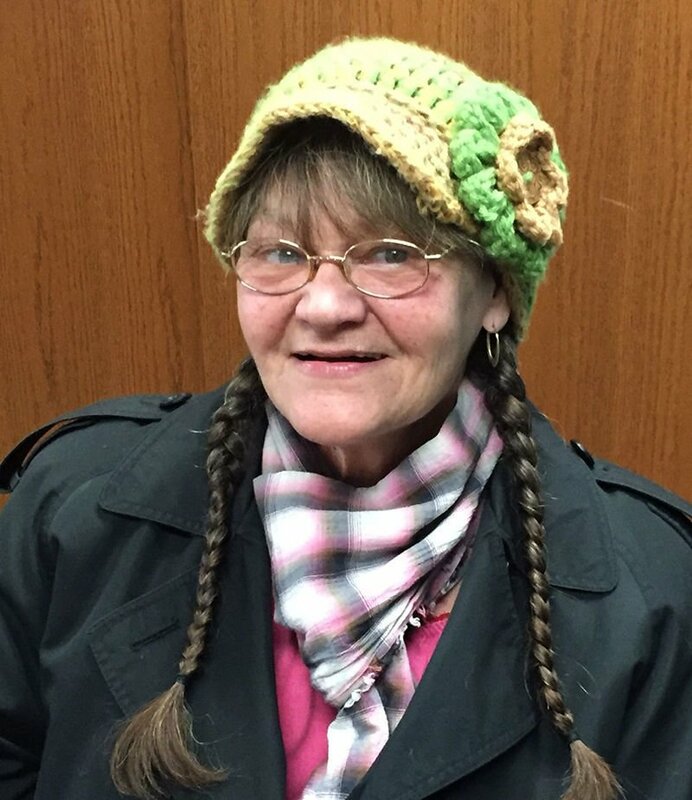 Thanks to the generosity of Julia’s youngest daughter and her husband, both women were given a room to share in their home south of Menomonie in October 2016. In addition to tending to Krissy’s needs, Julia also took care of the couple’s two children in lieu of rent since both women depended on Krissy’s monthly Social Security check to make ends meet. The family made the best of a difficult situation. But by 2018, the couple’s resources were stretched to the limit. Expecting their third child, it was clear that they needed Julia and Krissy to find somewhere else to live. Within two weeks, Julia and Krissy found themselves in a snug two-bedroom apartment at Stepping Stones’ shelter on South Broadway, unlike anything they ever expected. Julia and Krissy were the bookends in a family of four. With their siblings, Patrick, now deceased, and Kim, just a year older than Krissy, they grew up on a dead-end street in the Chicago suburb of Cicero. When her mother started having other children, the family had to get their own place which turned out to be on the same street two blocks away from her parents’ home. “She was not your classic idea of what a mother is – absent a lot, but she was fun,” Julia said. “Every Saturday, she took us to the theater to see whatever movie was playing … and then to the only curly slide park in the county. But we hardly ever saw her after that. Their mother died of cancer a week after she turned 42. Julia was 22, Patrick was 19 and Krissy and Kim were 14 and 15. Not long after Julia and Krissy moved into the Stepping Stones’ shelter, all three sisters were reunited under the same roof. Also faced with the dilemma of nowhere to go last summer – and with the help of Julia’s oldest daughter, Kim and her 15-year-old son moved out of the hotel they were living in and into the shelter apartment next door to Julia and Krissy. On another good day a short time later, Kim and her son moved in to their own home in the same apartment complex. None of the sisters had much more than their clothes and a few boxes of memorabilia. They were thrilled with the treasures they found at United Way’s C-3 Center next to Stepping Stones. There wasn’t a learning curve for Julia when it came to the job of caring for Krissy in the waning days of her life. She worked for Visiting Angels in the mid-2000s, living with people during their last stages of life, and for Care Partners in 2011 and 2013. Barbara Lyon is the Development and Communications Specialist for Stepping Stones of Dunn County. She can be reached at 715-235-2920, ext. 5 or development@steppingstonesdc.org. Stepping Stones’ Shelter Program provides emergency shelter, housing assistance, and referral services. Shelter locations are 1920 South Broadway and 1518 Stout Road. Combined, the two shelters have five furnished apartments for individuals or families. During their stay, residents work closely with shelter staff to secure affordable housing, to find or maintain employment, and to access resources to become self-sufficient. In 2018, a total of 4,601 nights of shelter were provided at either one of Stepping Stones’ shelters or at a local hotel for short-term stays when the shelters were full.